Rabbi Kenneth Brander is the inaugural David Mitzner Dean of Yeshiva University Center for the Jewish Future (CJF). CJF serves as Yeshiva University's catalyst to: Infuse the student body with a spirit of leadership and sense of commitment to the Jewish people and society; Builds, cultivates, and supports communities, and their lay and rabbinic leaders; and creates a global movement that promotes the values of Yeshiva University.Rabbi Brander is also the Rabbi Emeritus of the Boca Raton Synagogue and founding dean of the Weinbaum Yeshiva High School of Broward and Palm Beach Counties. During his 14 years of service to that community, he oversaw its explosive growth from 60 families to some 600 families. Under his leadership, the Hahn Judaic Campus was built to include the Boca Raton Community Mikvah, a sanctuary, library, social hall, a youth and senior center, and a Yeshiva high school. He is a 1984 alumnus of Yeshiva College and received his ordination from the Rabbi Isaac Elchanan Theological Seminary in 1986. During that time he served as the student assistant to the esteemed Rabbi Joseph B. Soloveitchik. He received special ordination from Machon Puah, a center of medical ethics in Israel, in 1999 and from the Chief Rabbi, Mordechai Eliyahu, in the field of medical ethics—infertility, gynecology, and halakhah. He is currently completing his PhD in general philosophy at Florida Atlantic University (FAU). He has received numerous awards for his community service, including: South Palm Beach County Federation Award for Rabbinic Leadership, Hurowitz UJA Federation Award for Rabbinic Leadership, and the Key to the City of Boca Raton for enhancing the quality of life in the community. He was the first recipient of the Yeshiva University Wexner Rabbinic Leadership Award in 1999 and was honored with the State of Israel Medal of Honor presented by the Mayor of Gush Etzion for rabbinic leadership in supporting Gush Etzion. Recently, Rabbi Brander was given the Bernard Revel Memorial Award by the Yeshiva College Alumni Association. Rabbi Brander has authored many articles in various scholarly journals and also co-edited The Yeshiva University Haggadah. He is married to Rachel Tambor Brander. They are blessed with five children Tuvia, Yoni, Tehilla, Yosef & Yitzchak. Consider the question: Which is holier? Mount Sinai or the Land of Israel? Rav Soloveitchik taught that though the revelation of Hakadosh Baruch Hu and his Torah occurred at Har Sinai, its holiness does not compare to that of the land of Israel. As vivid as revelation was and as important as Mount Sinai is—its holiness was only temporary. Why? Because Hakadosh Baruch Hu alone created the holiness of Sinai, so when He left, the holiness of the place departed too. Israel differs. Its holiness was born in the partnership between man and Hakadosh Baruch Hu. The conquering, building and sustaining of the land was, and remains, a process—of human endeavors coupled with the support of Hakadosh Baruch Hu. Therefore, it maintains its holiness forever. Even after God may have stepped back after the destruction of the Beit Hamikdash, the other partner, the people of Israel, remained, guaranteeing the eternal holiness of the land. The Max & Ruth Schwartz Hesder Yeshiva of Sderot celebrates this ideal. Rabbi Fendel, a serious Talmid Chacham, has inspired a generation to understand its responsibility towards Am Yisrael, Torat Yisrael and Medinat Yisrael. He serves as a role model to all of us; through his actions he encourages us to recognize that these values are the necessary ingredients guaranteeing the immortality of our people and our own personal rendezvous with God. Tonight the true honor goes to all of you who help make the dream of this Yeshiva a reality. 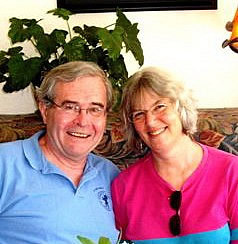 Loren and Stuart, met in HANC as high school students. Stuart went on to receive his undergraduate degree in Hofstra University while Loren received her BA from Queens College. To continue their education, the couple then moved to Boston, where Stuart completed his training in dentistry, earning a DMD from Tufts University and, subsequently, a prosthodontic degree from Harvard University. At the same time, Loren successfully completed her doctoral dissertation in Molecular Immunology and earned her PhD. In 1992, after ten years in Boston, Loren and Stuart Daitch returned to New York in order to closer to their extended families. 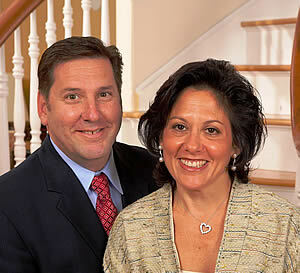 Since 1992, the Daitchs have made their home in Merrick, Long Island. Stuart maintains an active dentist practice in midtown Manhattan. They are active and respected members of the Young Israel of Merrick, where Loren serves as the chairperson of the Youth Committee. They are also involved in numerous other causes, many of which such as HANC, Yachad, Amit and Chai Lifeline, highlight their continued concern for the welfare of Jewish youth, both here and in Israel. Loren manages all of this while also working as a sought after private science and math tutor. Of greatest importance to both Loren and Stuart are their five children, Lillian, Zachary, Alexander, Sydney & Hannah! Harold & Stacey Ullman live in Livingston, New Jersey and have a daughter and two sons. Harold is an international tax partner in the law firm of Fox Horan & Camerini LLP in New York City and practices in the area of international nonprofit activities. His wife Stacey works in medical communications and is currently secretary of the Joseph Kushner Hebrew Academy PTC. They are active members of the Suburban Torah Center in Livingston, NJ. George and Janet Iversen live in South Orange, NJ. They have been married 36 years and have two sons: Paul, 30, who just finished his second year of law school; and David, 24, who is finishing a Masters Degree in American History and is about to enter law school as well. In 1981, George and Janet founded a video business, Movietime, Inc., which they owned and operated successfully for 25 years. During that time, George was an active volunteer in the community. He served as president of the South Orange Chamber of Commerce; sat on the board of the South Orange Parking Authority for 15 years, serving several terms as chairman; and served as chairman of the South Orange Democratic Committee for 10 years. George and Janet also used their business to educate the community and raise money for several charitable causes, most notably for children suffering with AIDS. In 2004, George went to Israel for the first time with Volunteers for Israel (VFI). He volunteered on an IDF base in the Negev and fell in love with Israel. He became vice president of VFI and returned about a year later to volunteer again on another IDF base outside Tel Aviv. In 2007, wanting to show support for the embattled people of Sderot, George organized the first American Mission to Sderot. With the help of the internet, he recruited a disparate group of Americans – including Harold Ullman – who spent various amounts of time working with the Sderot Welfare Department to do whatever was needed. It was during this mission that George first met Rabbi Fendel and was incredibly impressed and inspired by the work he was doing at the Hesder Yeshiva. George has returned to Israel every year since, working with Ruach Tova in Tel Aviv to find volunteer opportunities throughout the country. He created a website, www.israelvolunteer.org, to provide information for other people wanting to volunteer. In addition, he has volunteered in Haiti at an orphanage for children with AIDS and works on a regular basis at the kosher food pantry in South Orange. George is now semi-retired and works for the Surrogate’s Court of Essex County, NJ. Janet is a tax investigator for the State of NJ. They both love to travel. Since their first trip together to the Soviet Union for their honeymoon in 1974, they have travelled as often and as widely as possible, most often in recent years to Israel. Josh grew up in Douglaston, Queens, the son of Gloria and Murray Ostrin. He attended Rutgers University and graduated in 1981, with a major in history and business. For the next ten years or so, he was a jack of all trades, working in the garment and insurance restoration industries. In 1991 he founded Amatex , a commercial powerwashing and deck staining company, servicing the tri-state area. Josh has served on his synagogue, Congregation Ahavas Achim’s, Board of Directors, Executive Board of Directors, Building Committee, and is currently House Vice President, keeping the shul, and shul’s cemetery, in good working order, a never-ending and often thankless task. A former marathoner and avid cyclist, Josh has for years raised money for various charities by running and/or biking his way across the tri-state area. Thanks to Josh’s vision, passion for Eretz Yisroel and persistence, along with the hand of Hashem, the Ostrins were able to successfully “adopt” a wonderful family from Sderot, the Bareli’s, back in March of 2008. The Ostrins and Bareli’s have remained close friends ever since. Keeping Josh (among other things), in order, is Leslie, the daughter of Harriet and George Blank. She grew up in Bridgewater, New Jersey, attended Tufts University, graduating in 1987, and then, after living in New York City for several years, moved on to attend law school at the Boston University School of Law. After practicing law for a several years at Cadwalader, Wickersham & Taft, in New York City, she and Josh met, while kayaking, and were married a year later, in November, 1997. Her numerous volunteer activities include: for Congregation Ahavas Achim - Chairing Ahavas Achim’s annual Sisterhood Shalach Manot project (for over 10 years), Co-Chairing the shul’s Chesed Committee, serving on the shul’s Youth Committee and formerly serving as a shul Board Member; serving on the Rabbi Pesach Raymon Yeshiva’s (RPRY) Board of Directors, being currently nominated to the Yeshiva’s Executive Board, and co-founding the Yeshiva’s PTA Health Committee (among other projects, heading up the “A to Z Mitzvah Snack Program); Chairing the Raritan Valley Bikur Cholim Home Visitation Program and delivering Meals on Wheels for the Jewish Family Service. Leslie is closely affiliated with the Aleph Society, the New York-based organization that supports the work of Rabbi Adin Steinsaltz around the globe, sits on the Board of the Mekor Chaim/Steinsaltz Ambassador Program, headquartered in Highland Park, and can often be found assisting with programming for that organization. Leslie’s passion for gardening has lead her into her “unofficial” position as School Gardener, at both RPRY and the Yeshivat Netivot Montessori. Leslie has recently started teaching a course at RPRY called “Legal Lunch & Learn”, during which fourth-grade students learn about the legal world in American society. Leslie was also a co-founder of Highland Park’s “Kids Helping Kids”, a town-wide organization whose mission includes education, leadership-building and, initially, raising funds to help support the Shiyala Community School in the Chongwe region of Zambia. This is all in addition to her part time work as Corporate Counsel for the Medtech Group, Inc., located in South Plainfield, NJ and her full time job at home. Lest we forget, Josh and Leslie are the proud parents of Alex (9), Uri (7), Ayelet (5) and Sigal (5). Alex, Uri, Ayelet and Sigal can often be seen at their shul pushing a wheelbarrow, planting flowers, pulling weeds, jumping in the dumpster, helping to build the Succah and gladly performing many other chores that their Dad request of them, in addition to visiting the elderly at local nursing homes and delivering food and Challot throughout their community, on Friday afternoons, with their Mom. The Ostrin Crew is grateful for the opportunity to honor the Hesder Yeshiva of Sderot, and to pay tribute to the memory of Murray Ostrin, z”l, a man who was passionate about Eretz Yisroel, Jewish education and family. They thank Hashem, and their parents, for their endless brachot..